Adam’s presentation offered advice to members on various techniques for capturing winter scenes. o	Cameras meter for a mid-grey. o	If braving the elements is not your style, keep shooting indoors. 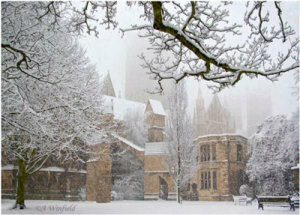 Winter at Lincoln Cathedral by Adam Winfield.